When you are employed at larger companies, they sometimes make available designer style clothes that you can acquire. Such was the case with the Buick City personnel that worked in Flint Michigan. 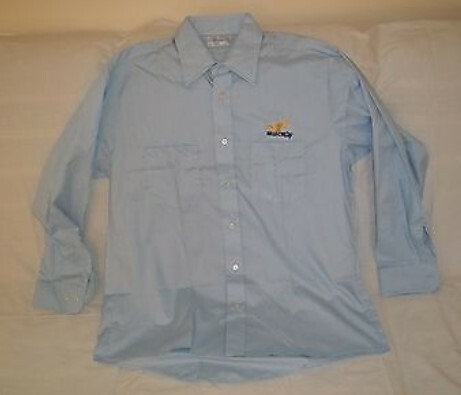 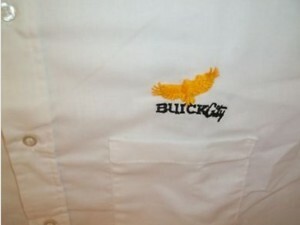 I’m sure these dress shirts were made exclusively for executives, management, and office staff type people. 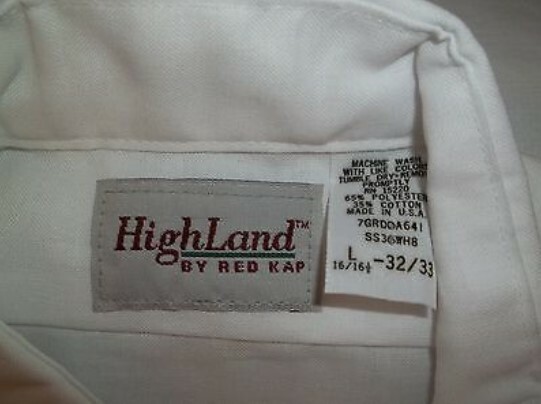 The material tag says Highland by Red Cap, the company that produced them, and these were available in white or blue. 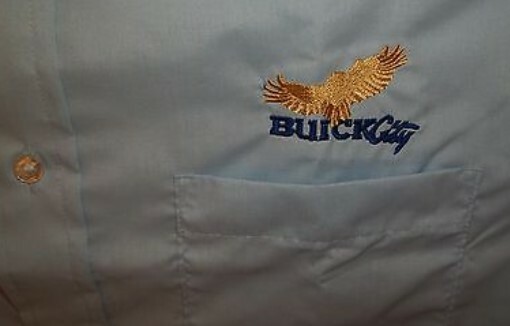 I recently found out about these embroidered Buick hawk shirts which I had never seen before, and thought some other people might like to see them as well.